Available to all T-Mobile customers with a compatible phone (any device capable of displaying caller ID), Scam Block and Scam ID will make sure you aren’t picking up the phone when an unwanted solicitor or potential scammer is on the other line. The way Scam ID technology works is pretty darn simplistic. To sum it up, any time a T-Mobile customer is called, the caller’s number is ran against a global database of tens of thousands of known scammer numbers. This list is always being updated, then analyzed by T-Mobile’s Scam ID in real-time to ensure its accuracy. 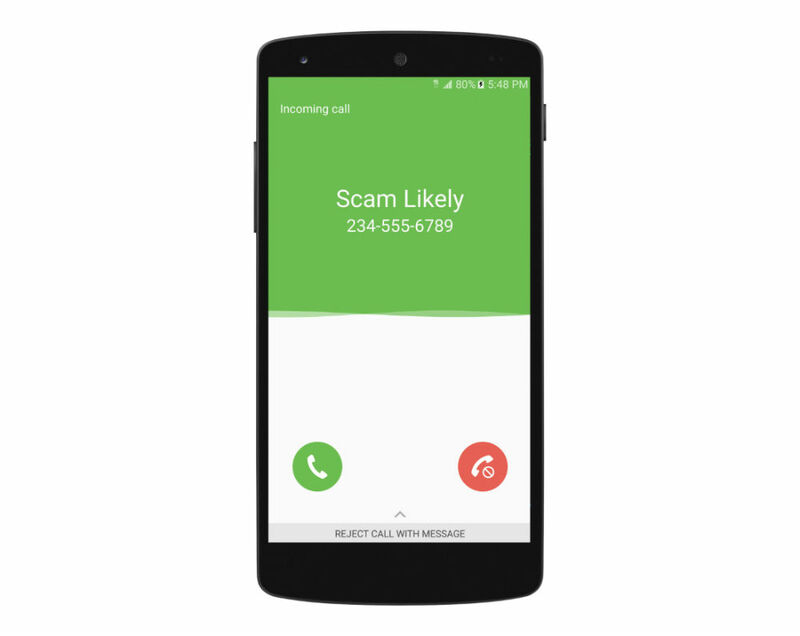 With this enabled on your line, the next time a scammer calls you, you’ll know before you even pick up the phone. While having the scammer’s number known is great, you’re still getting called, which is where Scam Block comes into play. With Scam Block, “scam likely” calls get immediately blocked on the network so you don’t see them at all. It’s basically a 1-2 punch to would-be scammers. Here’s the specifics with regard to enrollment. T-Mobile is enabling Scam ID and Scam Block on a rolling basis beginning with T-Mobile ONE customers. New T-Mobile ONE customers will automatically get Scam ID beginning April 5. T-Mobile postpaid customers can also enable Scam ID for themselves beginning April 5 by dialing #ONI# (#664#) and pressing the call button in their phone’s dialer. To turn on Scam Block, customers can dial #ONB# (#662#) or, to turn it off, dial #OFB# (#632#). To check whether Scam Block is on or off, customers can dial #STS# (#787#). As you can see, select T-Mobile will automatically have this feature enabled, while others will need to set it themselves. However, anyone and everyone can decide to turn it off whenever they choose.